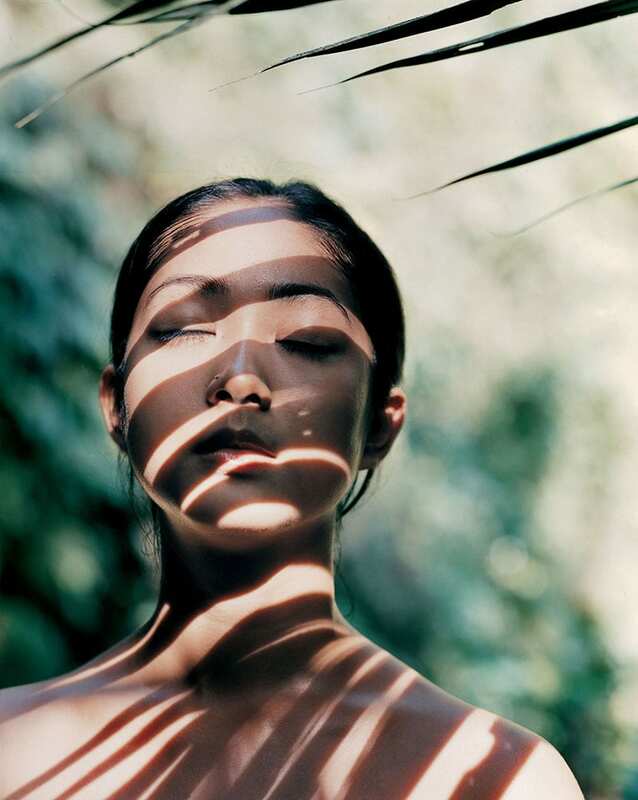 When it comes to holistic wellness and healing, COMO Shambhala Estate follows the philosophy that no two people are the same. 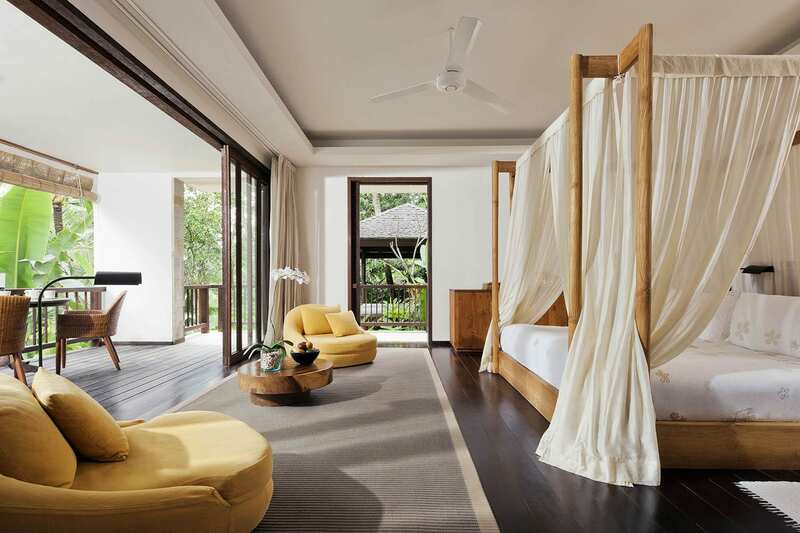 This award-winning luxury spa resort uses a proactive approach for their retreats where each guest consults with a resident expert to design a programme that meets their specific needs and works towards individual goals. The wellness programmes here include a mix of ancient healing therapies and modern science to cleanse, heal and rejuvenate for optimal health and well-being. It also doesn’t hurt that the drop-dead gorgeous, tranquil and luxurious setting is the ideal place to nurture and energise the body, mind and soul. Whether you’re here solo to do some serious inner searching or on a high-energy corporate retreat, you’ll soon see why COMO Shambhala Estate is a world leader in the holistic wellness industry. As soon as you step onto COMO Shambhala Estate’s grounds, the pace of life seems to slow down a little bit. 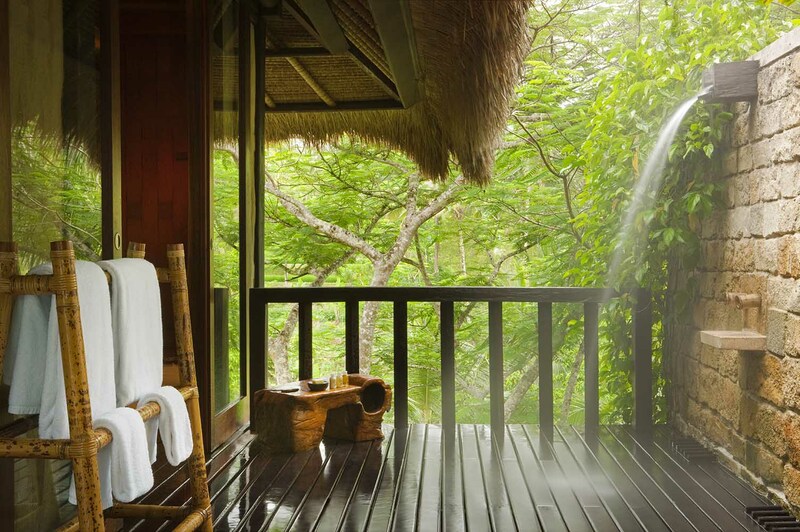 Situated in a jungle clearing next to the Ayung river, the resort is awash in lush tropical foliage, gorgeous pavilions, and tranquil water features including a natural spring revered by locals for its healing properties. One of the key characteristics that sets COMO apart is their commitment to a superior level of care that starts as soon as you check in with your personal assistant and continues on throughout your stay. Their nurturing team includes a resident nutritionist, Ayurvedic doctor, and spa therapists who will support you along your personal journey and give you the tools and inspiration you need to makes positive changes for better health and renewal. Each and every one of COMO Shambhala Estate’s award-winning retreat programmes is tailored specifically to your unique needs and followed through with a team of expert consultants and therapists who are highly experienced in their respective fields. It all starts with an initial consultation where the COMO team will determine your goals to devise the ultimate Personal Programme for you. COMO Shambhala Estate has a resident nutritionist and naturopath as well as an Ayurvedic doctor trained in the ancient Indian system of holistic healthcare. Other consultants include an acupuncturist and osteopath. An exercise physiologist can provide therapy for specific pathologies and fitness, yoga, Pilates and martial arts instructors will teach you new ways to move your body. This core team administers different types of hands-on healing. Traditional Eastern techniques include Thai, Indonesian, Shiatsu and Ayurvedic massage. Other areas of expertise include hot stone, sports and deep tissue massage. There is also a reflexologist. Bodycare specialists are available for hydrotherapies, and aestheticians for skin and non-surgical anti-ageing treatments. This powerful but safe detox programme allows you to cleanse your body of toxins. Toxins can accumulate in the body through bad diet and living in polluted environments which if allowed to build up can decrease the effectiveness of your natural defence systems (note this programme is not intended for those recovering from substance abuse). Working on the premise that the lymphatic system, liver, bowels, kidney and skin must work optimally for effective natural detoxification, our consultants will prescribe regular exercise, good nutrition and daily elimination to improve lymphatic circulation and to keep these organs in top working order. Appropriate herbal cleansers may be recommended to help restore the liver, gastro-intestinal tract and digestive system. ++ Prices are subject to 21% tax and service charge. This inspiring programme is designed to get you back on track and back in shape, motivating you to move, learn and enjoy a new sense of fitness and good health. The programme incorporates fitness and nutrition consultations and personal training. Some sessions, like the guided challenges, are conducted outdoors to further inspire your workouts. You may be introduced to the disciplines of yoga and pilates to tone both body and mind, or be encouraged to go deeper into your existing practice. You will leave with a personalised map of how to reclaim your body, armed with all the facts and core techniques needed to boost an active lifestyle. An ancient Healing Science for body and mind, Ayurveda addresses specific conditions with focused prescriptions. It treats the root cause of ailments by enhancing toxin catabolism and by balancing the five elements of body and mind to bring about a powerful sense of wellness. At the Estate, our Ayurvedic Doctor will recommend a holistic, all-natural treatment plan depending on the individual’s Prakruti (constitution) and current state of being. The prescribed therapy plan could include a detox, body treatments, special diet, yoga and meditation. To achieve maximum benefits, the Doctor will also recommend a follow-up programme as well as education about preventative healthcare measures. 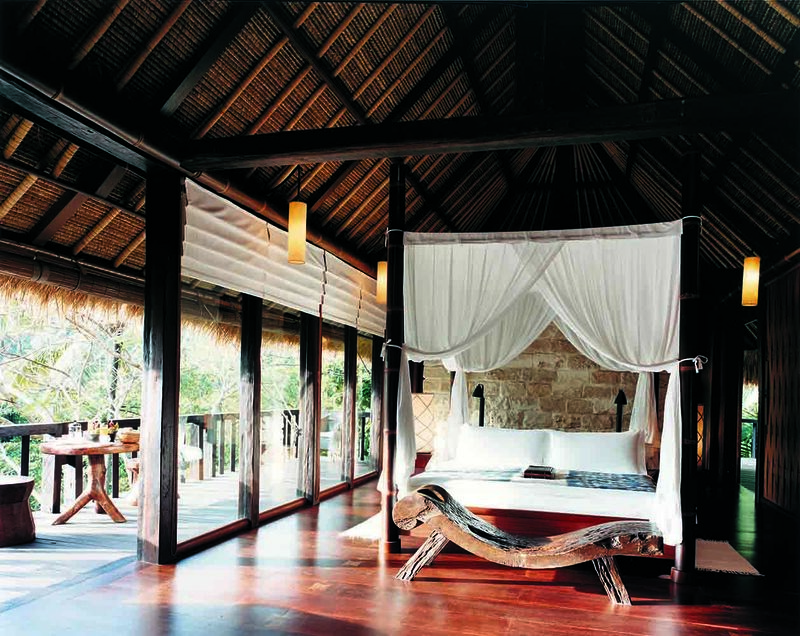 The Estate has five different themed residences, each with four to five ensuite bedrooms. 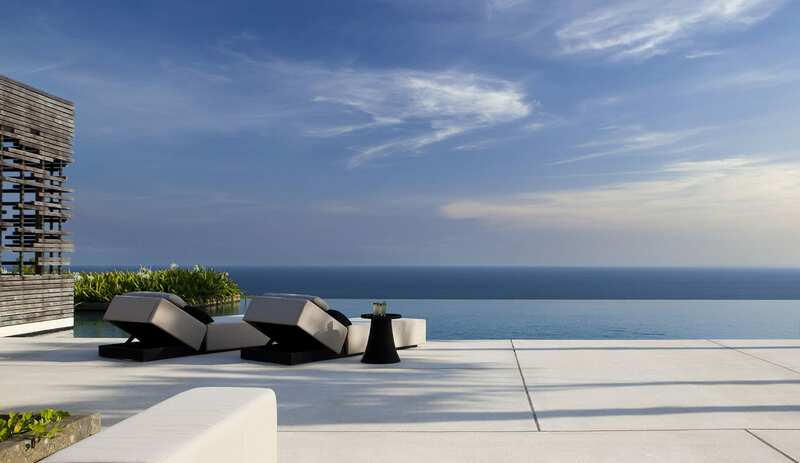 Every Residence is self-contained, with its own living and dining areas and very large common swimming pool. The Residences are all quite expansive, including plenty of private spaces within their design, and each bedroom within a Residence is also private. For larger groups of friends or families travelling together, an entire Residence may be reserved. 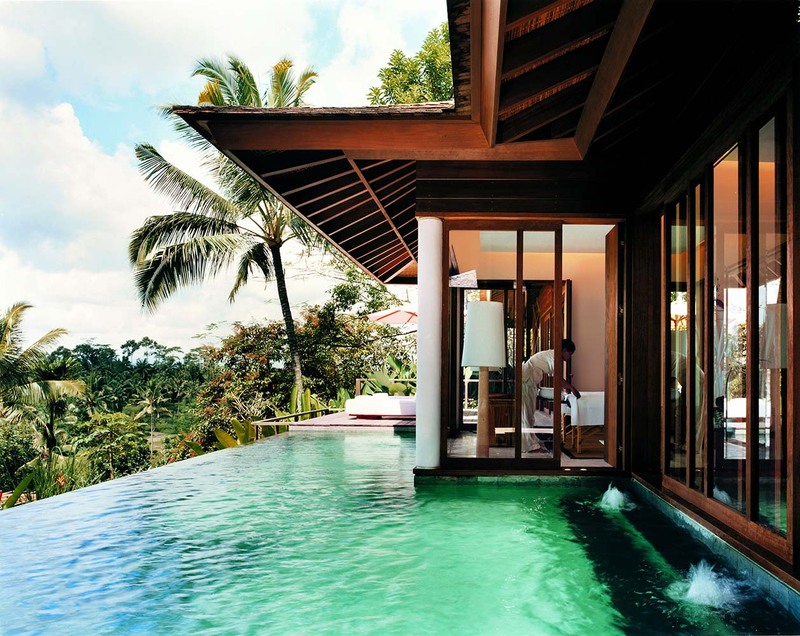 The Retreat Villas, meanwhile, are more contemporary in design. Key elements of their features make them ideal for those wanting to focus completely on wellness. 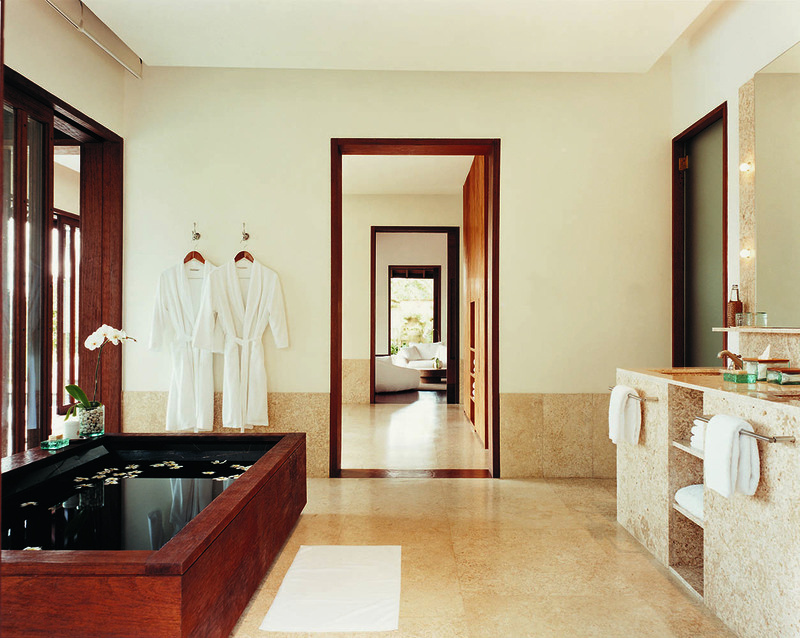 Each one includes its own steam therapy room (large enough for couples) and a private pool. Located close to Ojas, one of the Estate's principal wellness areas, they also provide easy access to spa treatments, health consultations and our yoga programme. Are ideal for guests wanting to maximise their time with treatments. 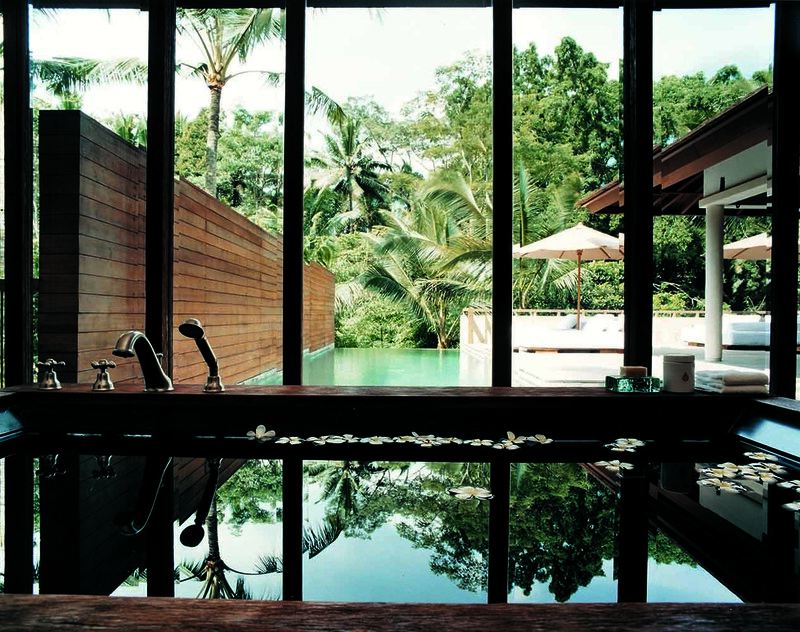 They feature a private therapy room (for couples) and a pool. 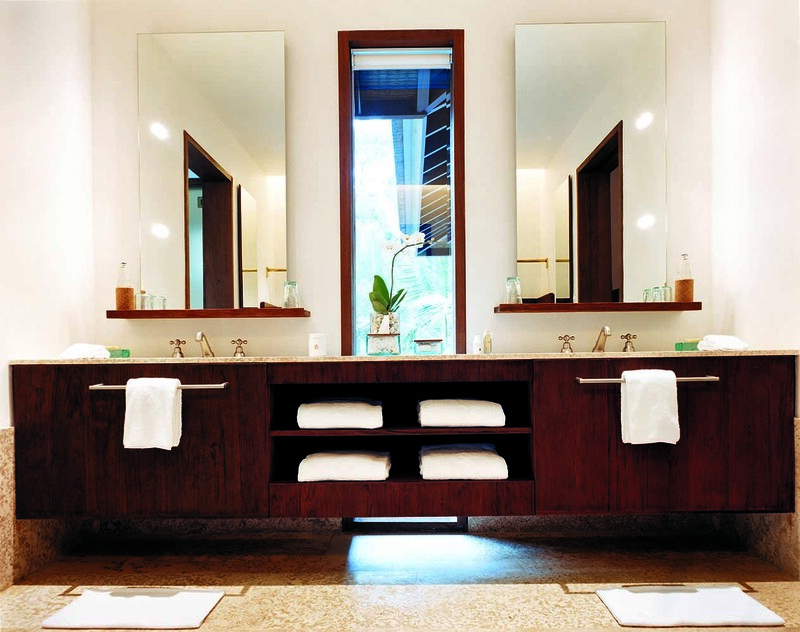 They are located close to Ojas, one of the property's principal wellness areas with Yoga facilities. The Ojas Spa is not only a serene spot to take in a soothing massage, but also a centre of healing, balance and detoxification. The spa therapists and healthcare consultants here will work with you to create a customised spa programme that includes treatments designed specifically for you. 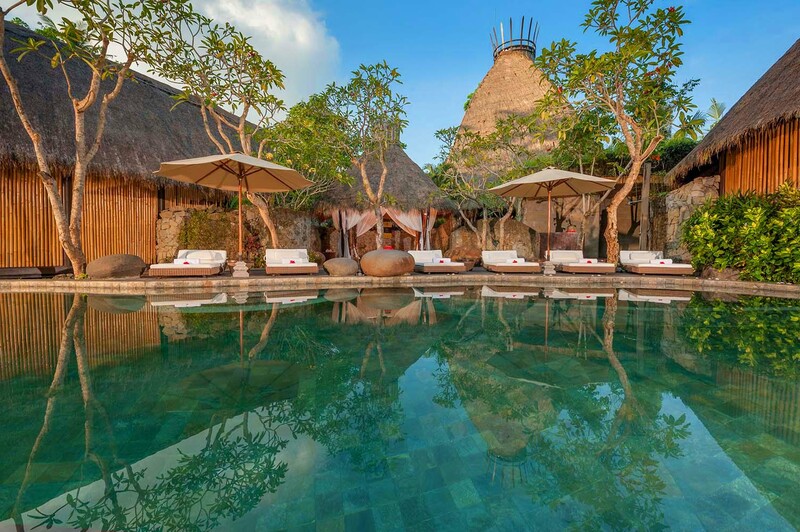 The treatments range from multiple types of massage to facials for every skin type, baths, wraps and mud treatments for detoxification and relaxation, and hydrotherapy treatments in their heated Vitality pool fed by ‘The Source’, a natural spring on site renowned for its healing properties. 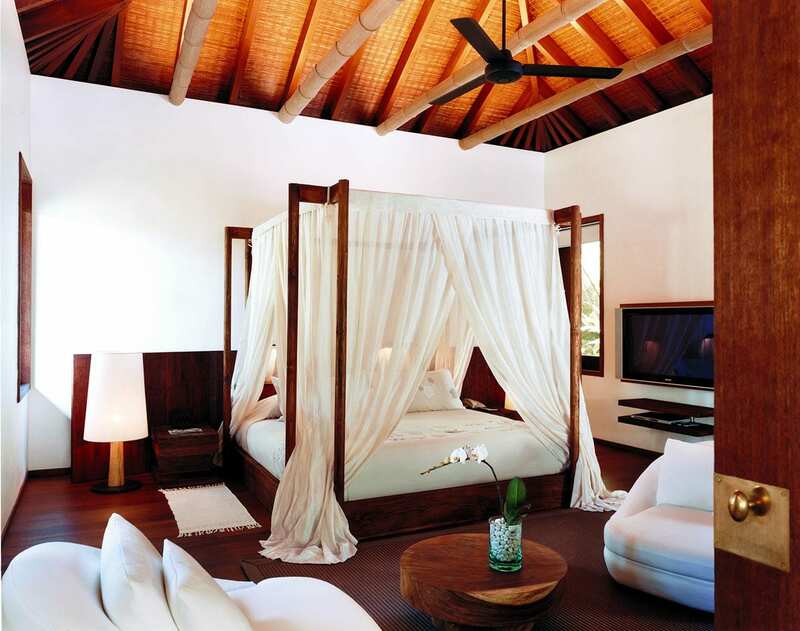 Unlike many other spas on the island, authentic Ayurvedic treatments and healthcare options are also available. The philosophy behind the cuisine at COMO Shambhala Estate is not one of deprivation and calorie-counting, but rather one that focuses on fresh organic field-to-table food that is prepared in a way that preserves the nutrients and enzymes of each ingredients. You will find flavourful meat, fish and veggie dishes here in a variety of global culinary styles including Balinese, Mediterranean and Indian. 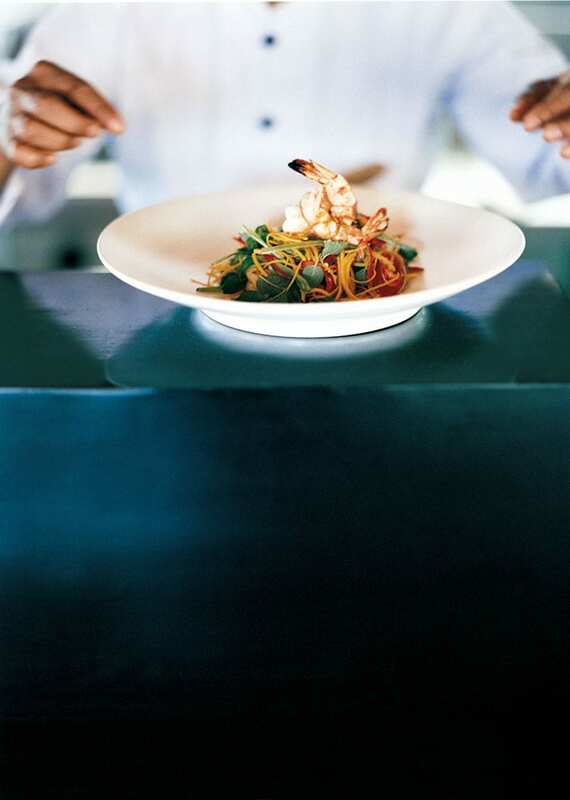 Depending on your programme needs, the resident nutritionist will work closely with you, the Executive Chef and the Ayurvedic doctor to prepare a special menu plan that will enhance your energy, mental focus and physical performance. It should go without saying that the kitchen can also accommodate all types of intolerances or personal preferences. Dining options include Glow for all-day healthful dining in the open-sided restaurant overlooking the gardens, Kudus House for Indonesian cuisine enjoyed in the romantic setting of a 150-year old Javanese house, private dining on the terrace of your suite, picnics in the water garden, or even snacks, sorbets and granitas at the Ojas Spa and poolside. Physical activity is a huge part of COMO’s healthy living philosophy, which is why they offer a daily schedule of complimentary activities that include guided walks through the nearby rice paddies and villages, yoga sessions and tai chi classes. They also take advantage of their unique location in the heart of Bali to offer exciting adventures like mountain biking down winding roads, whitewater rafting along the Ayung River, and volcanic trekking to see the sun rise over Bali. 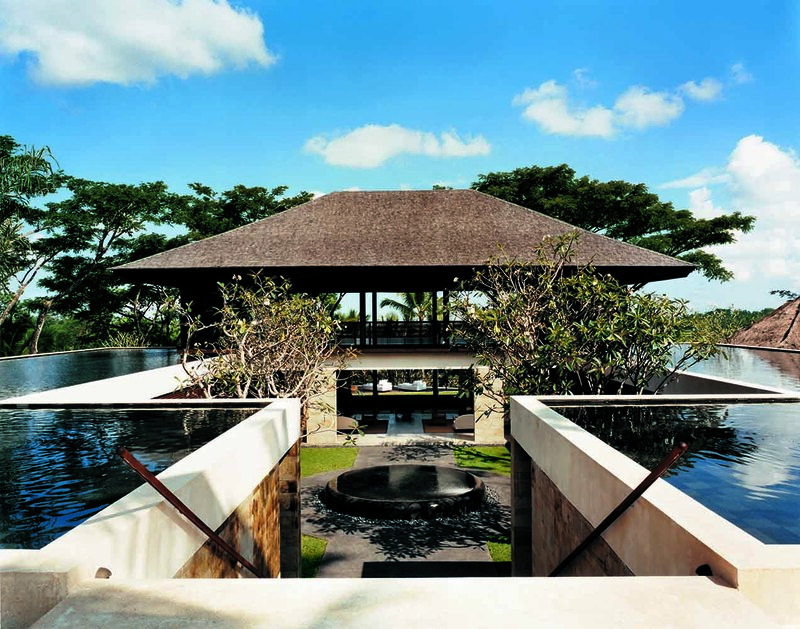 Their cultural excursions to temples, villages and artisan workshops also allow you to see an authentic side of Bali. 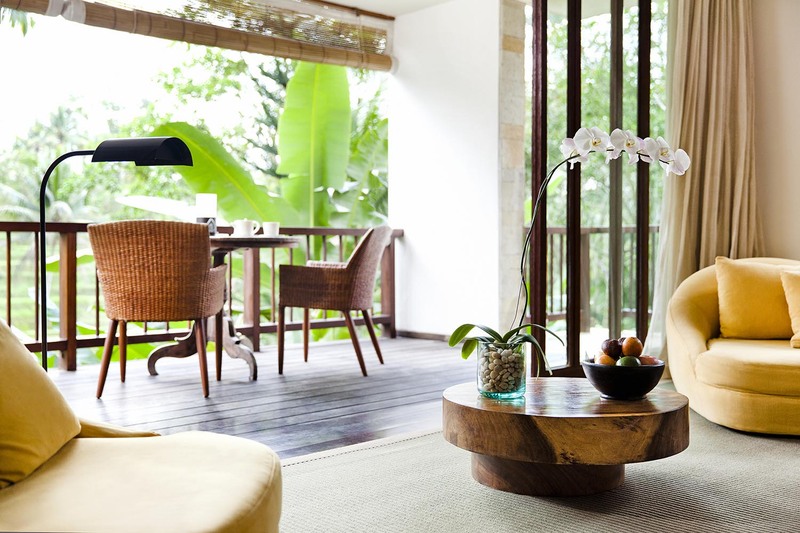 COMO Shambhala Estate is located just a short drive from the Ubud, Bali’s centre of arts and culture. 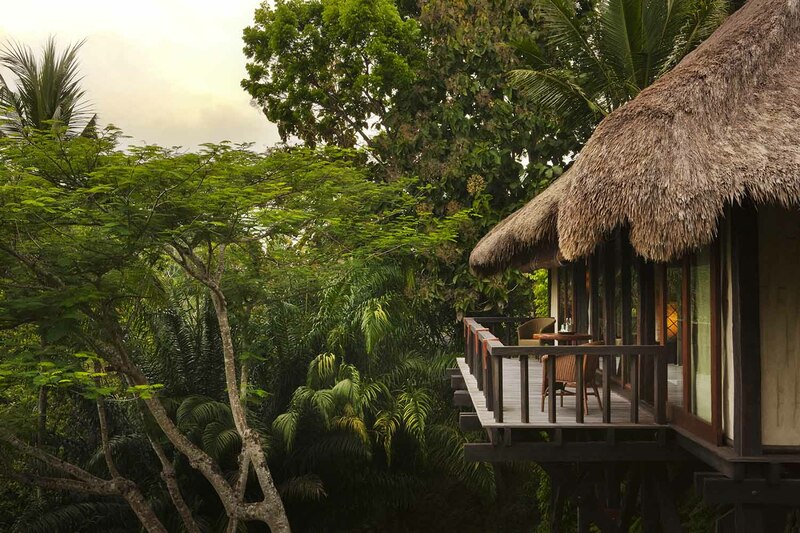 Their secluded riverside and jungle setting means that you are residing in the midst of nature and can enjoy peace and privacy, yet at the same time you are never far from the excellent restaurants and shops in Ubud or spectacular volcanoes, beaches and terraced rice fields. The drive to the estate from the airport takes approximately 90 minutes. I'm almost loathed to review Como Shambala Estate as I'd like to keep it a (well known) secret. I could go on and on but, suffice to say, there is nowhere quite like it. It is beautiful, the accommodation is out of this world, every single member of staff is superb, the food is extraordinary and the overall experience is something that'll make you feel truly blessed. 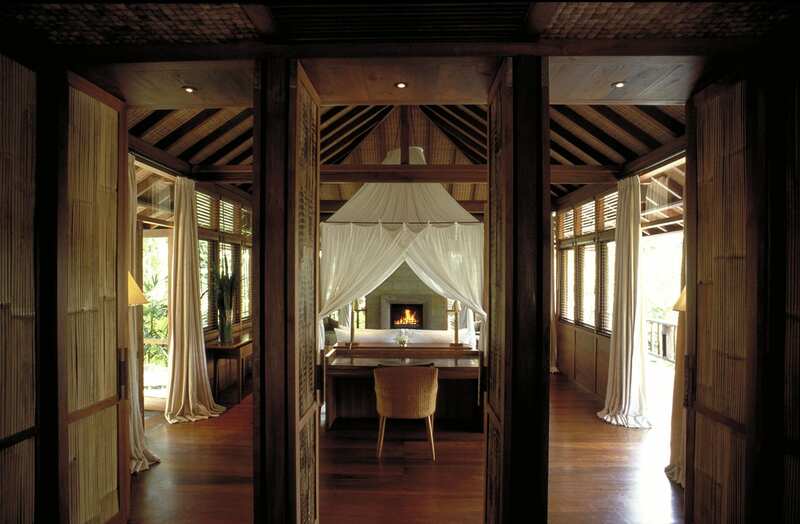 We stayed at COMO Shambhala Estate for one night for our wedding anniversary. We booked a Terrace Suite and were upgraded to a private Retreat Pool Villa which was just amazing. The villa had an amazing view, absolute privacy and the staff took amazing care of us. Our PA was always there to look after our needs and was an absolute pleasure. 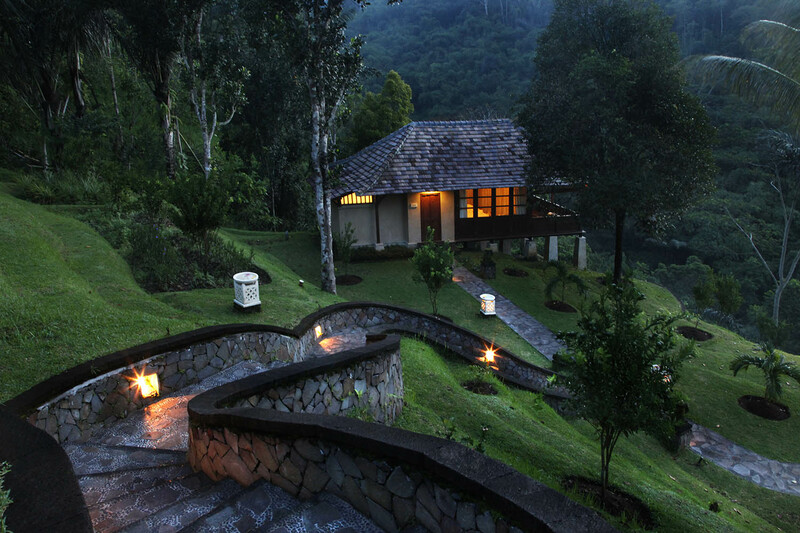 The Estate overlooks the Ayung river valley and you can do an amazing walk around the property. It's very big and the design and architecture seamlessly integrates with the nature around it. Swimming in the natural spring pools was so awesome and it felt like we had so much space to ourselves to really enjoy the nature and scenery of the property. The food was amazing. My wife likes healthy vegetarian food and I am the opposite. We were both delighted that their menu had options to satisfy both of us and the kitchen even prepared food off menu when we wanted something else. Do not miss Brunch - it insanely good. Do not miss the spa either. Best massages on the island and I've been in Bali since 1989. What a place! My friend and I met here to do a week of the "Stress Management" wellness program. This included, among many other wonderful things, 8 massages in 7 days. It was glorious. The food is so amazing, I had ordered the cook book from Amazon while I was still there so that it would be waiting for me when I got home. The staff to guest ratio is just tremendous. They take such amazingly good care of you, and the grounds are so expansive that you always feel as though the place is all but empty. You find out at breakfast that there are in fact others there, but for the rest of your days you hardly see anyone. One of the most serene and lovely places I have ever been. If you have the opportunity to do some of the excursions, they are lovely too. We climbed Mt. Batur as well as did the local bike ride and the rice paddy walking tour - all very lovely ways to see the countryside. Spent 3 nights at this luscious resort and wish I could have stated longer. 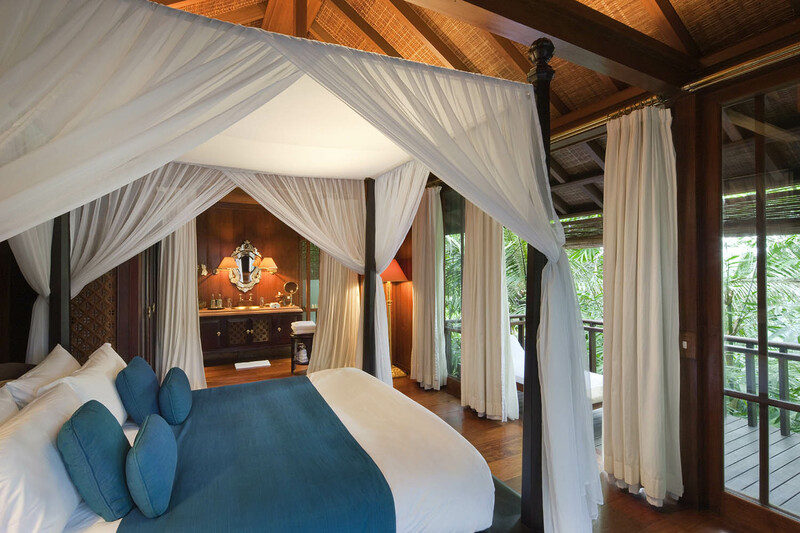 There are barely the right words to describe how immaculately designed and run this resort is. The spa by far provided some of the most indulgent services I have ever received in my life. Even if one were to stay at this property and do nothing but sit and view the jungle that would be enough. 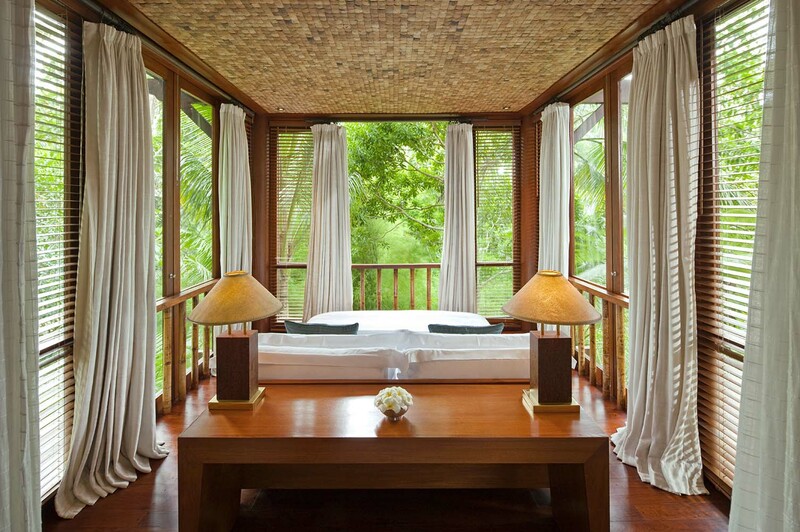 The environment is a paradise away from Ubud and within the grasp of natures own beauty. Activities were incredible, the main guide Gede spectacular and knowledgeable. Personal assistant was also extremely helpful and kind. The yoga teacher was full of joy and skill who I wish I could have class with each day! While the cost to stay is certainly one of the most expensive in the area it is worth EVERY SINGLE PENNY. 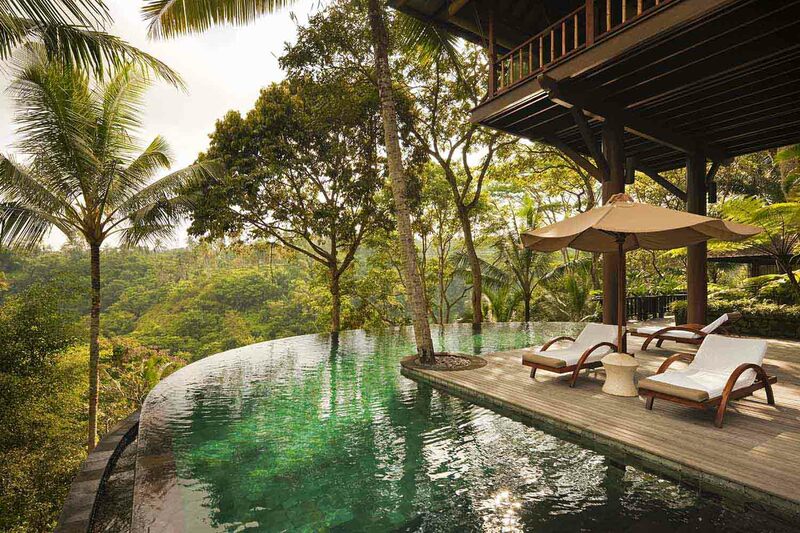 Save your money and don't stay in Ubud, go to this unique property against the green forest and rushing river for memories that will stay with you forever. 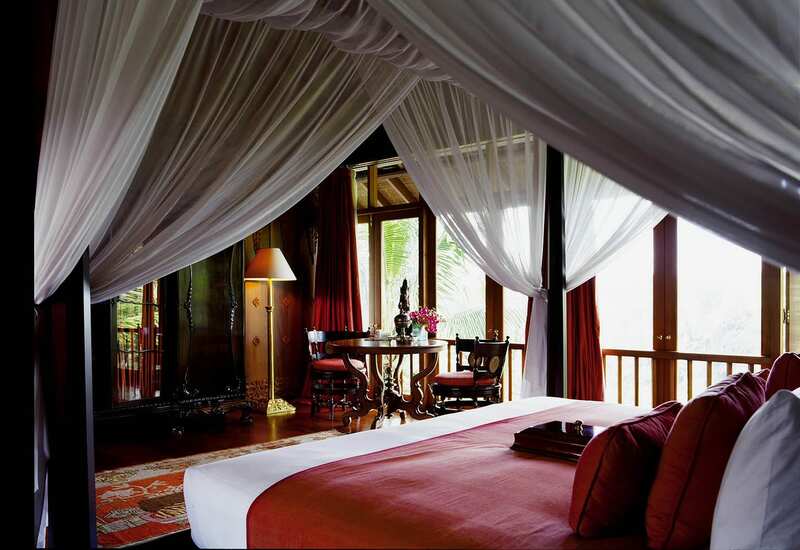 I have stayed at many of the top hotels all over the world, but none compare to my one week stay at Como Shambhala. The setting is so beautiful that words can't adequately describe it; the architecture of the villas and the furnishings and design are one of a kind and stunning. The people are so warm, friendly and helpful that I found myself smiling all the time, and feeling nurtured by this lovely community. While there were many interesting activities to pursue, I spent most of my time walking around the grounds,sitting by spring fed natural pools next to the river, reading in outdoor netted beds hidden in the jungle landscaping, and just sitting in my room or on the deck looking out at the incredible rain forest and birds inhabiting it. My time there was a once in a lifetime retreat, the beauty and serenity of which will always be part of me. 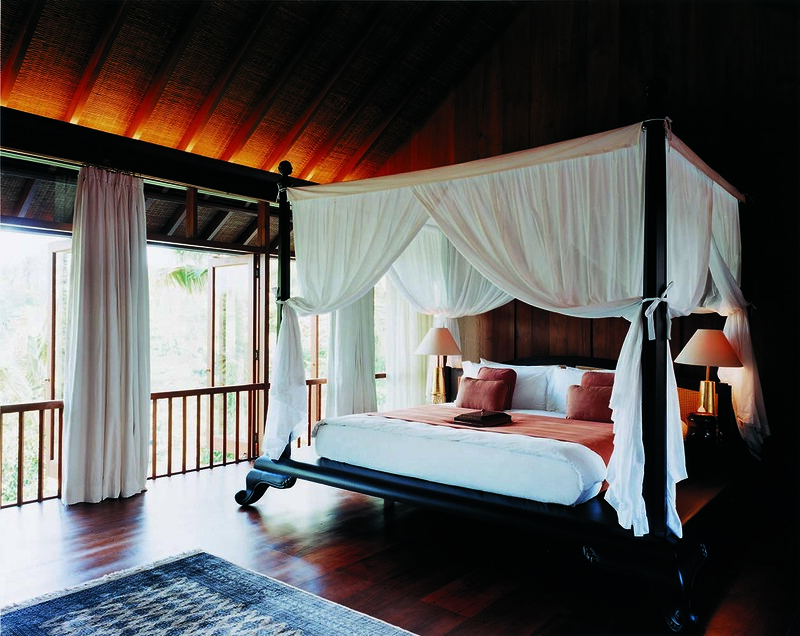 We stayed here for 10 days in July in a wonderful Retreat Pool villa . The resort is the most exotic, virgin nature place i ever could imagine in my life. The property has huge area which is located in the forest. The words which best describe this are luxury, relaxing and chilling. The villa is so beautifully designed with everything you need. Surrounded by tranquility and peace this is so romantic and beautiful. The resort offers programs for loosing weight, yoga classes and many many activities so you would never be bored ,even more prepare to walk a lot upside down the forest. Especially i would recommend the natural water swimming pools in the middle of the route down to waterfalls. What we normally did was walking half way then resting there and spending several hours relaxing and tanning there then walking up the mountain again back. Be aware you should be in good physical form to walk so much but it's very worth it. There are no many people on territory so rarely you'd meet someone. This place is full of love. Wow. What a place with the perfect balance of luxury, simplicity, tradition and style. The service so personal and yet professional at all times. The nature surrounding como is breathtaking and the landscaping a perfect balance of nature and manicured gardens. Cannot wait to return. 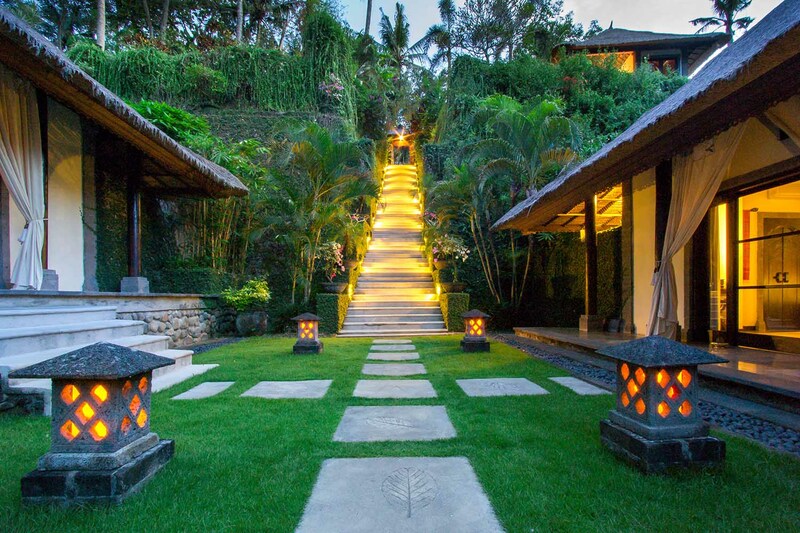 You would be making a mistake if you go to Bali and not stay at COMO Shambhala. There definitely is a lot of nice hotels in Bali but so does every other country in the world. This place is something else. Staying here is an experience by itself. It's a retreat in the true sense of the word. You come in whatever state you are in and leave in the most peaceful relaxed happy state you will ever experience. The estate itself is magical. The staff.. it is hard not to love them all. Their programs very well suited to all needs and they actually work. The food is delicious. The massages, the meditation, the yoga, pilates, biking, walks are beyond wonderful. This place must be enchanted! It is definitely the perfect way to kick start a healthy lifestyle and the perfect way to enjoy a healthy lifestyle. 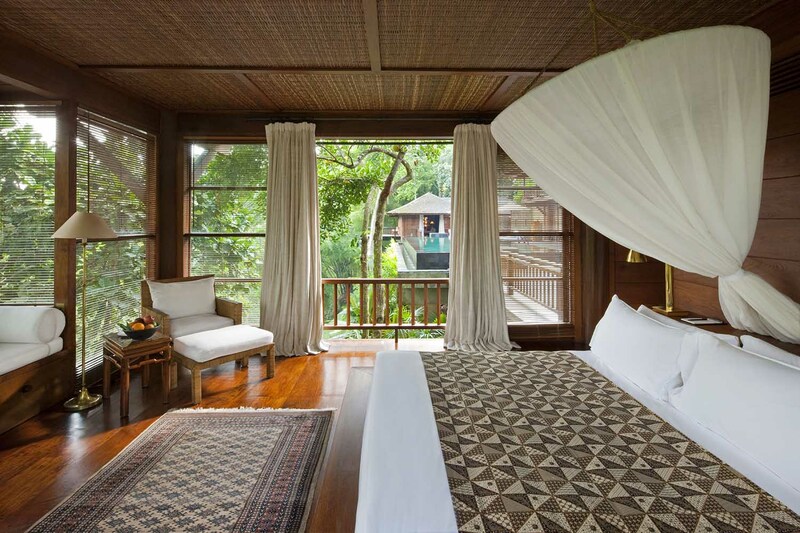 I would never consider staying at the same resort twice except for Como Shambhala. I am sooooooooooo looking forward to my next stay. I am definitely under the spell of this place's beauty. This Place can do no wrong, it's simply amazing. service is like no other, every single staff member even the ones that u have never seen, they know your name and address you by your name !! Crazy !! The GM comes and greets you, gives u a thank you card, it's just insane at the detail of service. the food is impeccable, The grounds absolutely stunning. you can do the healthy thing or they have normal food there also, like pizza and non quinoa types of cuisine, they have yoga overlooking the valley. The buffet is sensational, The actual decor is so beautiful, everything about this hotel just ticks all the boxes and is worth every penny. hands down an absolute fave. I first stayed at this estate in 2004 and eleven years later I still remember how I enjoyed my stay like it was yesterday. The first impression surely lasts forever. 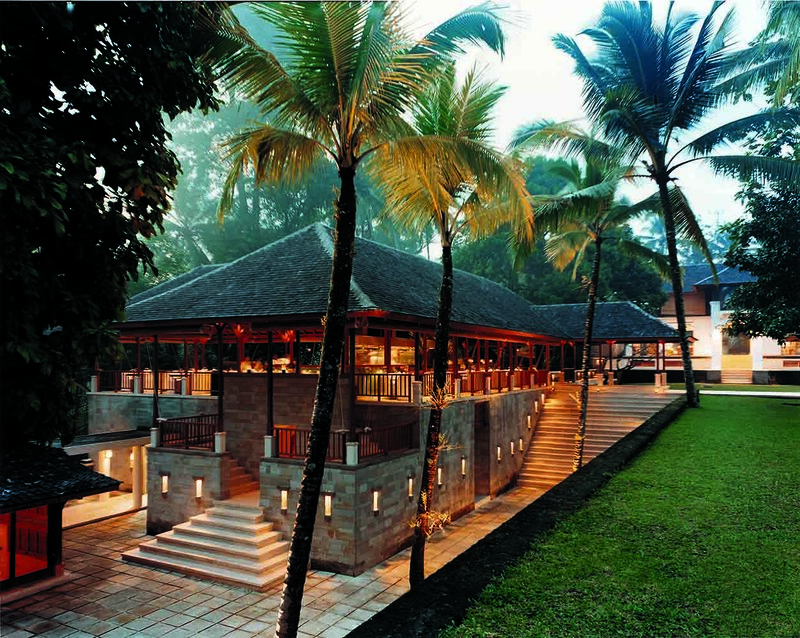 COMO Shambhala Estate is a resort like any other resort in the area. It feels like it has its own atmosphere and its own charms. You can immediately feel it the moment you step in. This is my third time staying at the estate and its excellent service with its attention to detail are really unmatch with any resort I have stayed before. The appointed butler will help you in anything you need. The healthy menu will offer you the freshest ingredients you've ever tasted. 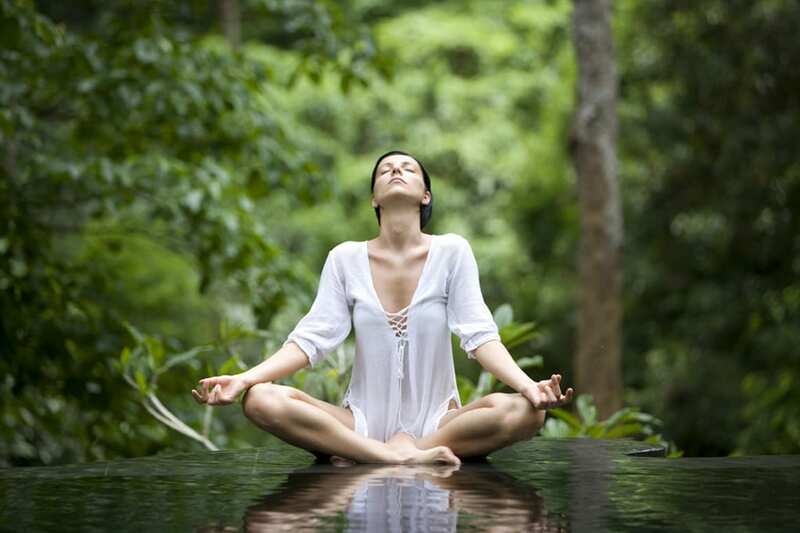 The stay at COMO Shambhala Estate will not only relax your body, but also your mind. I've been wanting to go to Como Shambhala for as long as I can remember. When we finally got there this summer, by a coincidence that can only be explained as a divine intervention, expectations were high. We arrived late at night, after a day of travelling from Gili Trawangan (see another review on Villa Nero). Night had fallen over the resort, which was lit-up in such a delightful way, creating magical expectations for the next morning. After fulfilling a bare minimum of formalities, we were escorted to our room by our PA Aryn, in a golf cart, allowing us a glimpse of the grandeur of the estate. Our room was in all the way at the edge, looking out over the river valley and across into the jungle. 'Room' is clearly an understatement, as even this, the most basic accommodation they offer, was a charming little villa, in a compound of 4 other 'rooms' sharing a larger common ' open space lounge area' and a private pool. Our room was not brand new, but nevertheless in mint condition. Exotic hardwood furniture and a canopeed bed added a touch of tasteful 'colonialism'. We had a lovely big bathroom, with a large stone tub, and an outside shower. All Como products one could wish for, and candles lit at night. (Thank you Aryn) Kasia's yoga classes are phenomenal, and she teaches a budding yoga teacher at the same time as a total novice, without even thinking about it. Kasia truly is one of the most gifted yoga teachers I've ever met in a resort. We also tried the wellness treatments, the aqua gym was great fun, definitely recommend to try it at least once. The spa building is gorgeous, with a yoga deck on the roof and a private jungle garden with outdoor shower for each treatment room . The massages were OK, though I got a reaction from the oil used on me, which was then quickly changed. The pedicure however was not the most impressive I ever had and I must admit I was a bit let down on that account. All in all I think the quality of the spa treatments was OK, but I would have expected more. We also tried the wellness consultations and met up with Eve , the dietician and also with the Ayurvedic Dr. Prasanth, which were both very knowledgeable and passionate practitioners. The grounds are of course enchanting and meticulously maintained, leaving room for nature to work its magic. Flowers abound, and on 1 grey afternoon, baboons came up to the (deserted) pool area. There was exactly the right amount and mix of other guests, everyone clearly in the same state of mind of full relaxation. Breakfast was an absolute experience, served in the ancient Javanese home, looking out over the valley. We also thoroughly sampled the lunch and dining options, being happily surprised every time. Naturally, all Como staff are utterly charming and professional. Sigh. I want to go back. Now. 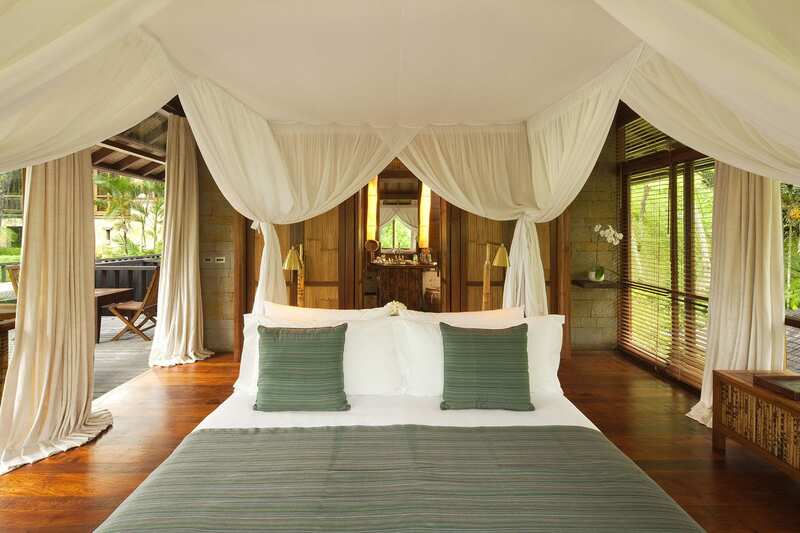 We stay 5 nights in Como Shambjala Estate and can't recommend enough this lovely estate. First the property is magnificent, beautiful halls, majestic garden, stunning views etc… I recommend the estate walk and 45 minutes long walk around the estate all the way down to the Agung River just to get a better view of the size of the property. We stay in the "Forrest in the mist" room and the room, all in beautiful wood, was spacious with a real character, beautiful terrace with stunning view on the forrest. Sleep quality was better than anything. And the infinity pool was second to none. The two restaurants were amazing, with a large selection of healthy/vegetarian options and a large selection of Indonesian inspired dishes. My favorite was the Lamb which was a real delight. The fresh juice cocktail selection is impressive and you'll always find the perfect one for you. Breakfast menu is very large and again delicious. We also went dinner at Uma Como Restaurant (their lovely sister hotel close by Ubud center) which has the reputation as one of the best Italian restaurant in Bali and I must say it was up to his fame. I could write tons of words to describe all the activities we did (such as aqua therapy, massage, yoga (their teacher Kasia is amazing! 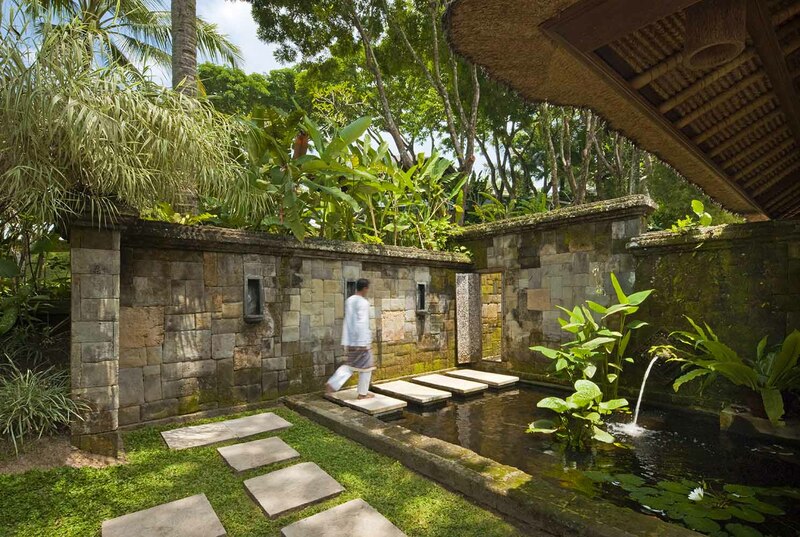 ), trips to Ubud - if you want a local restaurant I recommend Hujan Locale), ayurvedic consultation, nutrition consultation (thanks Eve for the great advices ! ), juice classes etc….. but at the end only one word is enough : perfect ! A special thanks to the entire staff who provides us with the highest quality of service during our stay and a special thanks to our very efficient butler Ary who made us feel perfectly at home. 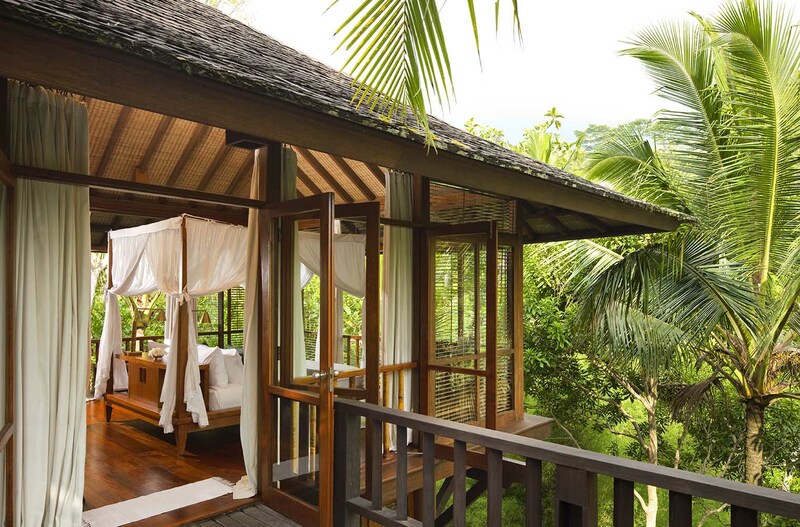 If you want a stress free hideaway, this is the place. Came to Shambhala with high expectations and all were met and exceeded. The staff are attentive and genuinely care. The programmes are comprehensive and top quality. 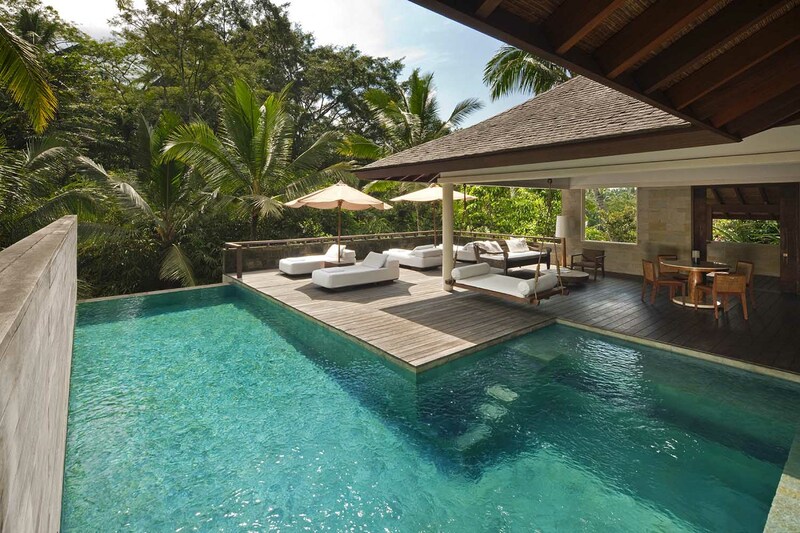 The pool villa was lovely, private and had all the amenities you'd expect. The food was delicious and the facilities around are beautiful- you've got to see the river pools! If you want a disconnect from reality with healthy food, spectacular surroundings and lovely staff, don't go past this. 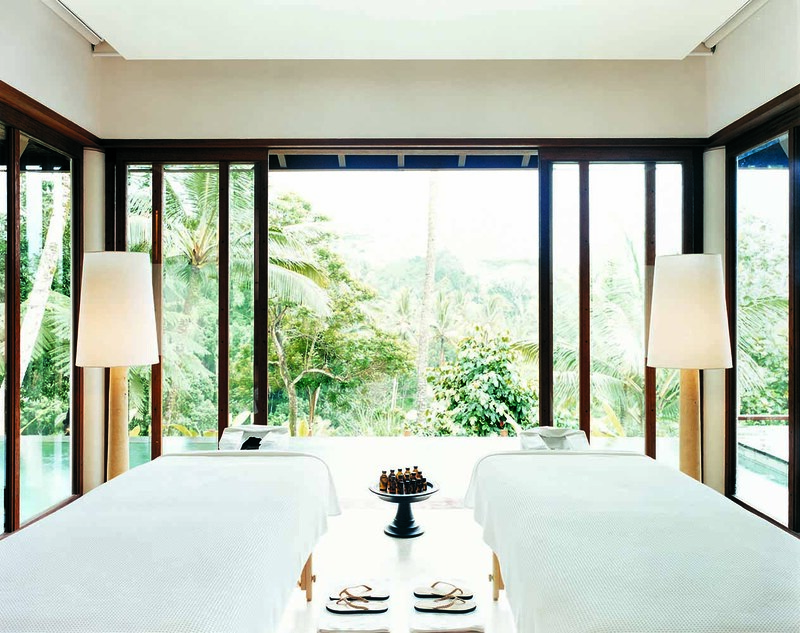 Whether you want to detox, cleanse, pamper or just chill out and having amazing spa treatments nothing beats Como Shambhala Estate, near Ubud, Bali. The food is the best I've ever had at a resort, it's clean, healthy, heaps of it and all served with a genuine warm smile. All the service and professional staff are very kind and there to help you, no matter what your desire is. The Estate itself is stunningly beautiful, breathtaking. I've been twice, for specific detox reasons, and Como has been my saviour in paradise. I have returned to this magical place four times now. It's difficult to describe the experience, so you must do it for yourself. It's quietly perfect and very classy. IMO, there is a huge difference in the management and staff effort necessary between a property that rates 95%, and one that rates 100%. Como Shambhala is a solid 100%. I hesitate to review it for fear it'll be over- populated on my next visit. But it's small enough I shouldn't worry. The accommodation, food, setting, and wonderful people synergistically make this one of my favorite places in the world. Give it a go, you'll be happy you did! We kept hearing many unbelievable things about this place and the comments were just too good to be true. We decided to spend a few nights to enjoy ourselves in luxury. Totally blown away. Food was shockingly good, unpretentious and totally delicious with healthy portions. The rooms were not modern glamorous nonsense but deep comfortable quality and staff were solid. We have been very lucky to check out many beautiful places around the world and I have never seen anything like this. The understated, rustic quality of the entire resort in a wold that focuses on new, shiny, bright and gimmicky was deeply refreshing. Well done Como you have created magic. I stayed here for 5 nights on the recommendation of a friend and it was the best experience of my life! My room was part of a compound of 4 residences but you would never believe it as it always felt like you were the only guest. 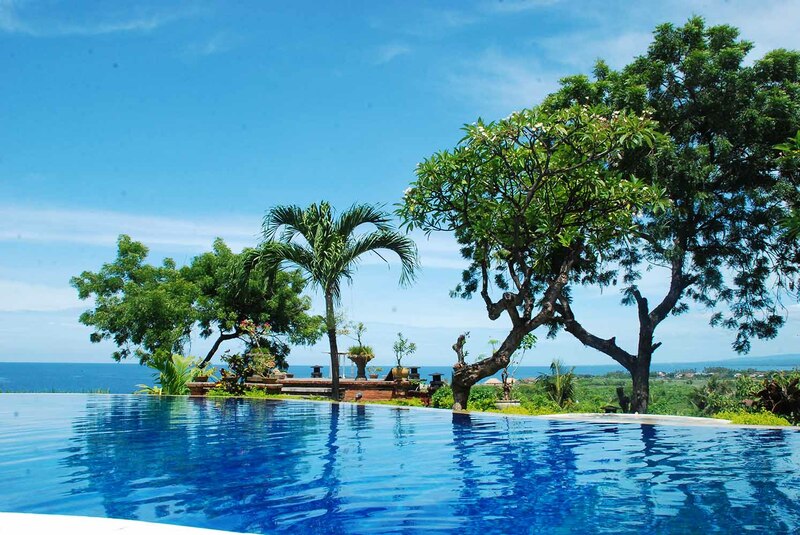 The Estate is situated on 9 hectares of land with superb views of the Ayung valley. There is nothing like hearing the river below while drinking in the panoramic view & enjoying the birdsong. 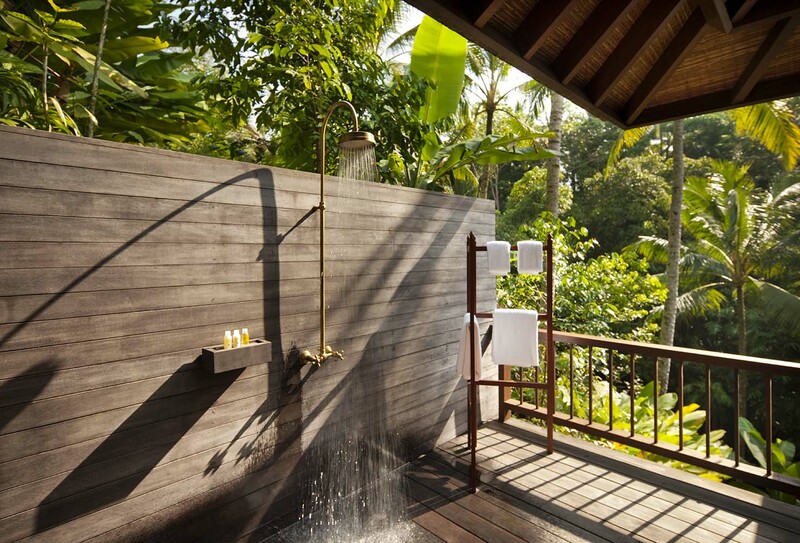 Small complaint about the room is the design of the outdoor rain shower. The backsplash from taking a shower splatters the wooden floors & although a bath mat is provided, some may find this requires taking some care. The treatments were all top notch & enjoyed the other activities such as qigong, yoga & Pilates. There is a wonderful estate walk as well as a trek through the surrounding padi fields. I particularly enjoyed the 3 different menus, especially the raw food one. There is also an extensive juice menu. Have to say a word about the staff - they are the best & really take care of you. I was assigned a personal assistant whose help was indispensable in organizing my program. I consider myself fairly well traveled and I can assure you that it's pretty tough to impress me. This is far and away the most AMAZING hotel stay of my entire life. Como is a serene unique experience. You feel like you are in another world. I literally dream of the smells, crisp air and scrumptious natural pools there. This place is not to be missed! ps. We loved the rice Paddie tour, hike up Batur, yoga, the spa and the impressive grounds there. My only regret is not staying longer! 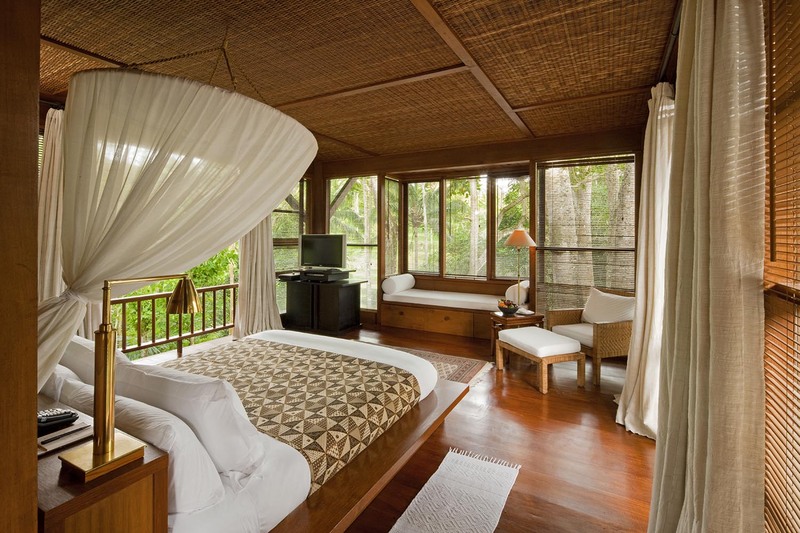 We came to como shambala on our honeymoon for 5 days and what a stay it was! Everything was fantastic and I have tough standards! 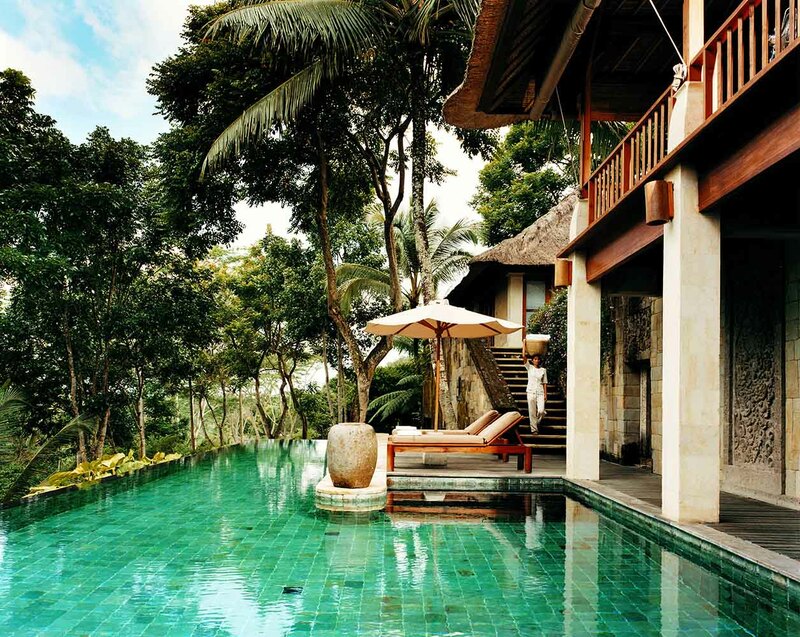 The property was beautiful, everything you could imagine bali would look like. The meals were amazing. I have to admit I was a little apprehensive when I saw the food was health oriented but trust me when I say that will not be a problem. The food was excellent. You felt amazing after eating there. We didn't leave the resort much, there really wasn't reason to! We did go to a show out one night but otherwise we just took advantage of all of the amazing amenities the resort offered. It was so amazing I began looking up other como locations so I could relive this wonderful trip. We will be back! Don't miss this amazing spot! Every time I return to this paradise I say exactly the same thing -"everybody should experience this for a least one day in their lifetime". From the minute you arrive every decision is taken from you- its relaxation and pampering at level you probably have not experienced before. The environment, the accommodation, the food, the butler, the spa, the activities and the great attention to details make this a stand out experience that you won't forget too quickly. And I've been to many retreats - from the Golden Door to Camp Eden to Anunda in Himalayas and Shanti in Mauritius All wonderful but not quite up to the total experience as Como Shambhala presents. Highlights - the exquisite food - have breakfast in the traditional restaurant overlooking the valley: ask for a balinese meal to be served at the private pool area down by the river; the estate walk and the bicycle trip; the villa with the down stairs Moroccan bathroom that has an enormous beautiful bath; having the butler unpack your clothes (I took pictures of this and showed all of my friends); the exquisite wonderful smelling bath products; the hydrotherapy experience in particular when you are cocooned at the end and the staff, each with their own smile and special touch of nurturing. My walking shoes have never been so clean! Thank you Como Shambhala I'm up for my 6th visit soon and already feeling my tension release. Visited Como in February of 2013 by myself. I am a 28 year old female and this was the first time that I was traveling by myself and I could not have gone to a better spot. Como was amazing. It’s not just a resort, it’s an experience. I participated in one of their week long wellness programs consisting of food, yoga, pilates in addition to adding extra activities like downhill mountain biking and temple visits. 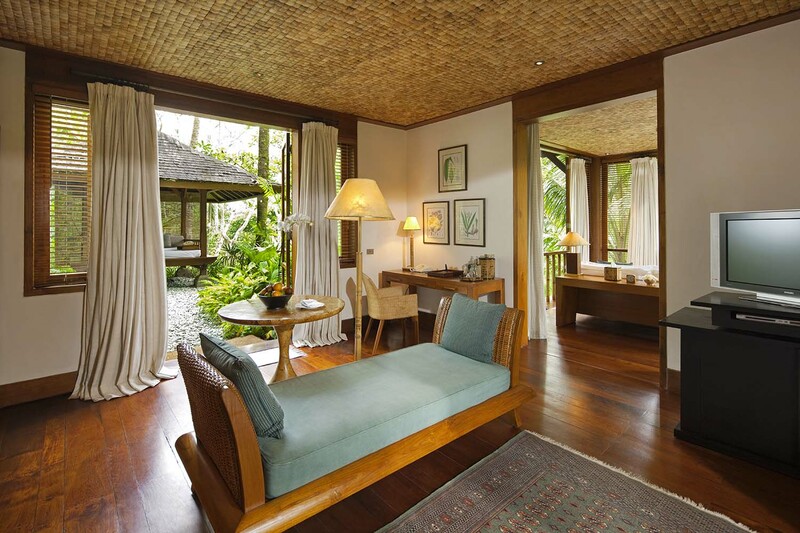 The rooms were high luxury while still incorporating the feel of Bali. The food was superb. All local and they adapted to any dietary restrictions. The staff was incredible, assisting at every opportunity. If you are looking for relaxation, this is the place to go.